Known as 'longevity fruit' where it originates, a mountainous region with an abnormally high number of centenarians. The Olive Leaf is the most universal symbol of longevity for good reason. Oleuropein is concentrated in the leaf extract, but also in the fruit, and partly what makes Olive Oil so healthy. * We offer a perfect, clean extract. 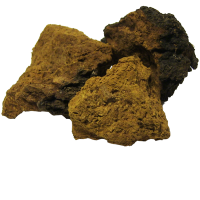 Inexpensive, but very important and often overlooked, Iodine is one of the most under-rated nutrients for longevity. In nature kelp is a rich source, where it is found alongside fucoidan. 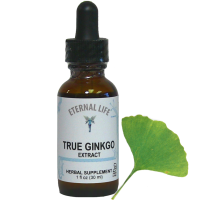 Ginkgo is truly an ancient tree, and has been used for thousands of years for brain health. * Sadly, most ginkgo on the market is fake. Ours is wild harvested, extracted right here in the USA. A true superfood, bee pollen is a rich source in B vitamins, pterostilbene, and numerous other protective nutrients. * Ours is fresh, refrigerated, from an Organic-Farm, USA source. 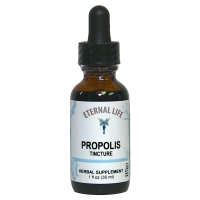 This single-celled aquatic plant is a very complete and rich source of vital nutrients. Very beneficial on blood sugar. * Ours is the vulgaris variety, grown in sealed tanks, in Korea. 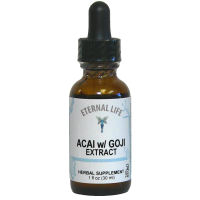 Superfruit extracts from fruits like Acai and Goji are high in DNA-protecting Ellagic Acid and immune-boosting polysaccharides* —extra important for those who generally avoid fruit. Silymarin, extracted from Milk Thistle, helps protect and regenerate the liver, and increase glutathione production. * Milk thistle tea is popular in the blue zone Sardinia. When activated in the body, Vitamin D3 plays a critical role in the immune system. While Vitamin D3 can be obtained by soaking in the sun, there are dangers to sun exposure and supplementation is recommended. 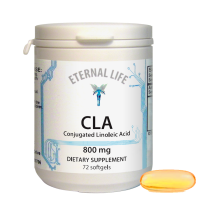 Due to modern animal farming practices, making sure you have enough Conjugated Linoleic Acid (CLA) in your diet is very important. Our products are submitted to the Honestly Labeled™ seal review process. We do not hide ingredients such as carriers, solvents, or trace GMO ingredients. We are above and beyond reproach when it comes to our labels. We never use genetically modified organisms in any of our products. The technology is in its infancy and there is still too much we don't know about the safety. A good number of our products are kosher certified. Kosher certification adds an extra layer of quality control, and every batch is tested for quality and safety.